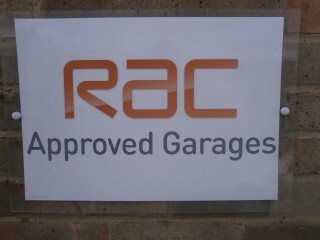 In 2013 we were appointed as Cheltenham’s only RAC Approved Garage for service and repair. If your car breaks down and you are not covered by any recovery service we can arrange recovery to ourselves. If you would like your car or van collecting and then delivering back then just say the word. We collect over a 20 mile radius of our base and this service is FREE OF CHARGE. We run a small fleet of courtesy cars and vans for our customers use. They can either be collected or we can deliver to your home or office. Again this is a FREE OF CHARGE SERVICE and includes insurance for larger services & major work, you only pay for the fuel you use- for small repairs and MOT’s there is a £10.00 charge. If you need a lift just ask. We are within walking distance of Gallagher Retail Park with a huge selection of household name outlets – there are even 2 Marks and Spencers’. If you need a lift to work or into Cheltenham please ring us and we will be happy to collect you when your vehicle is ready. All cars booked for a service costing over £100 receive a complementary wash and vac. Given notice we can then carry out the above while you wait. We have a warm, comfortable reception area with TV, WiFi, daily papers, magazines,tea,coffee – even biscuits!